This webpage describes the basic guidelines we can follow to ensure consistency for the Charter Construction brand in the real world—both online and offline. All of the necessary files for digital and print applications are labeled and linked for download right from this webpage. This site is designed to work best in Google Chrome. If you're using Safari or Internet Explorer and want to download logos, you'll have to right-click then select "Save image as...", otherwise just click the button! Your logo is the mark that represents your business on all client-facing materials. We want Charter Construction to come to mind when builders and contractors look for a quality concrete construction company to partner with on their next project. We want the brand to remain strong so that experts in your industry will think of Charter as synonymous with quality. A consistent presentation of your brand is crucial to maintain this awareness. The logo acts as the heart of your brand—a visually strong mark that represents the core of Charter Construction’s values and culture. We refer to this as The Emblem; a wordmark is a text-only logo modified to be distinct in one or more ways. 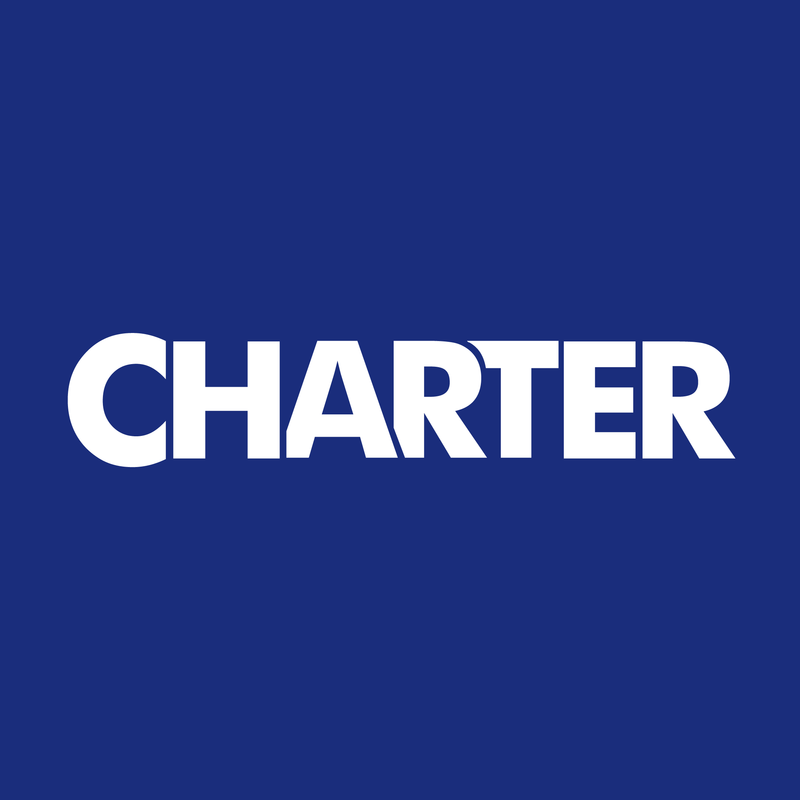 The business name “Charter” is laid out in Futura Bold all-caps with the letters kerned tightly together. Corners of a select interior letters have been removed to increase memorability and suggest that the letters themselves are 3-dimensional and overlapping. We believe this distinct mark helps imply the teamwork, materials, and planning necessary to execute on a construction site. Construction, styled in all-caps Futura Medium Oblique. The letterspacing of “CONSTRUCTION” has been increased to help balance the tight, overlapping letters of the Emblem above. The word is also enclosed in a bounding box, however the colors have been inverted to show emphasis. The logo allows for multiple arrangements. Note the proper arrangement and proportions of each configuration—kindly allow for breathing room and refrain from deviation. Both of the main logo parts used together (the wordmark and descriptor). Use the full logo when the context requires all of the information. Good use cases include: website, business cards, email newsletters, flyers, and pamphlets. Simply remove the descriptor when the context already provides that information. Good use cases include: letterhead and stationery. The logomark is unique, recognizable, and strong. In certain contexts, it can be displayed alone (i.e. without the Business name or bounding box). Good use cases include places where that information will be obvious by context: on a hard hat, on the side of machinery, on banners at a work site. In certain contexts, the logo may be used with inverted colors or in black and white. For example, the back of your business card has the full logo displayed with the inverted color palette (white logo on a black background). Another use could be the Wordmark with inverted colors as a social media profile picture. Perhaps you’re sponsoring an event and they are printing materials with sponsor logos in black and white—now you’re equipped to handle that situation too. Note: sufficient breathing room (called padding) between the Wordmark and the border is necessary for the square logo arrangement. Abide by these simple guidelines to ensure your logo represents your brand effectively across all client-facing materials. Maintain the logo proportions—don’t distort the image by stretching or squishing the aspect ratio. Maintain a proper exclusion zone—the logo is a strong visual mark, give it room to breathe. Make sure the logo is placed on a background with enough contrast. The standard logo might be hard to see on an orange, yellow, or red background—in those contexts, use the white (inverted) color variant. Make sure to use the original logo with the proper typography instead of recreating it. Typically, one instance of your logo will suffice for most advertisements and client-facing materials. Along with the arrangement of the logo, the consistent color choices will help increase recognizability of your brand. A dark blue Denim functions as the primary color of the brand, with a lighter shade of Blue serving as a secondary color or accent color. In order to establish a minimalist design language that respects the heritage of your company, we use a palette of greys and white to serve as background colors, depending on the context. A note on color usage: We emphasize "using less color to make it more colorful," a design principle which implements a primary color economically. Official color codes are listed with each color. The primary typeface is Franklin Gothic. Franklin Gothic, created by prolific American typographer Morris Fuller Benton in 1902, became popular in early 20th century newspaper and advertisements. The term Gothic, dated to that period, simply means sans-serif—or without flairs on the ends of the letterforms. While losing popularity in the mid-century due to the rise of European font families, it has since regained prominence. With the digital era, it has been reformed and included on standard issue Microsoft Word and other publishing platforms. The secondary Typeface is Futura. Popularized in the films of Stanley Kubrick and Wes Anderson, used ubiquitously by international brands like Ikea and Volkswagen, and even adorning a commemorative plaque left on the moon in 1969, Futura is a classic humanist sans-serif that looks it’s best in chunky, bold headers. It can also be used in body copy in the regular font weight. The round, geometric letterforms have even proportions and are built on the simple shapes: circles, triangles, and squares. 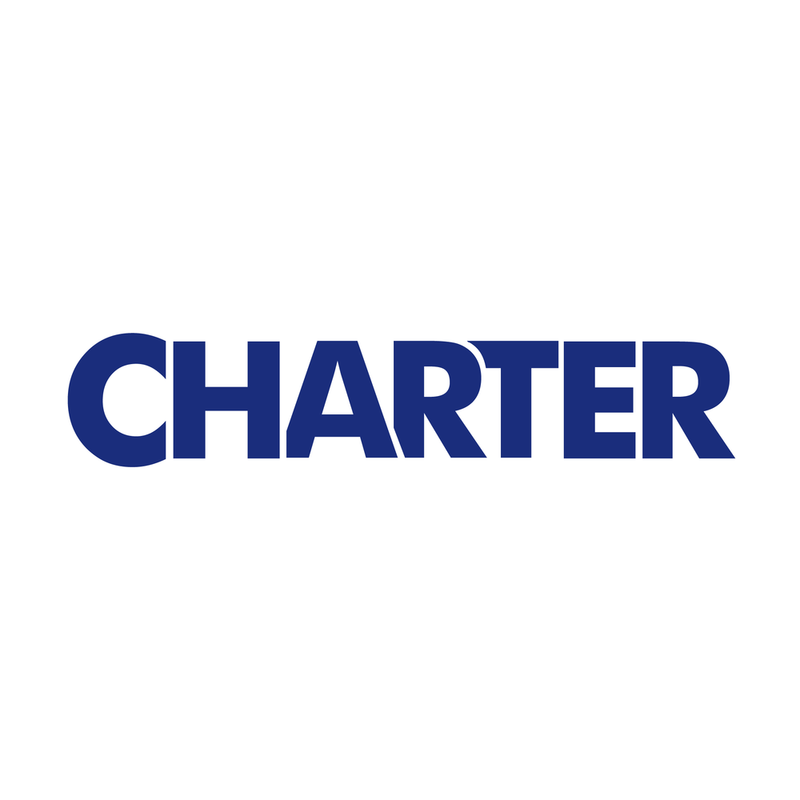 While the Charter Construction Logo is derived from this font, we use it minimally so as not to dilute its potency. We believe simplicity on social media profiles works best. Most channels (facebook, twitter, instagram) use square or circular profile images—for those sites the charter_square.png or charter_square-inverse.png work perfectly. Trying to cram your entire logo into those small avatars usually results in an unreadable blur.